One of my fundamental convictions is that theology, while possessing theoretical aspects, is eminently practical. It’s the “doctrine of living unto God” as some of the older theologians used to put it. One of the greatest tests of that “practicality” is understanding the various ways that the doctrines of the Christian faith can serve as a comfort to us in the manifold sufferings and tragedies we encounter in this life this side of Eden and before the Second Coming. In what follows, I’d like to simply (and briefly) point out some of the many ways the main doctrines of the Christian faith provide a comfort to the believer in times of struggle, suffering, and pain. Trinity. Before moving to realities more directly oriented towards God’s actions on our behalf, it’s important to stop and remember the comfort of the fact that before all things, God has eternally been perfectly existent as Father, Son, and Holy Spirit. This God is holy, perfect, beautiful, righteous, loving, faithful, eternal, unchanging, impassible, all-powerful, all-present, blessed, and supremely good. In the midst of our suffering, it’s often crucial that we remember that there is a reality deeper and truer that grounds, funds, and surpasses the finite and fallen world we encounter. In that sense, God being God without me holds its own comfort for me. Creation. God created the world and blessed it by declaring it to be “very good.” In a very important sense, the world is something to be taken, received with gratitude, and enjoyed. Each and every breath in our lungs is a gift of the Creator who has provided us with every good thing, every tree in the Garden, so to speak, for our benefit. We are not souls trapped in prisons, alienated from and anxiously awaiting our natural home in the stars, but humans placed in the midst of beautiful habitat with deep purpose by a good God. Every blade of grass, tulip in the field, bright ray of sunshine, speaks of his power and goodness. Sin. Connected to this is the doctrine of sin. It’s a bit counterintuitive to think of the doctrine of sin as a comfort, but there is deep reassurance in knowing that the unease, the pain, the opposition we encounter in the world is not natural to it. The world is not meant to be this way and it is sin, not divine malevolence or weakness, that has resulted in the brokenness we experience in our bones and our souls. God hates the fractures in his handiwork and stands opposed to them as we do–indeed, even more than we do. Providence. God is not a hands-off deity who fell asleep at the wheel. Contrary to what we’re tempted to believe in our darkest moments, the world is not governed by a cold and cruel fate. The doctrine of providence teaches us that the Triune God sovereignly causes, permits, and guides all things for the ultimate good of his creation and his children. Even the dark schemes of the Evil One will be turned on their head and used for the glorious blessing of creation. Christ. There are multiple comforts to be derived from meditating on the doctrine of Christ. John Owen gave us a few here. 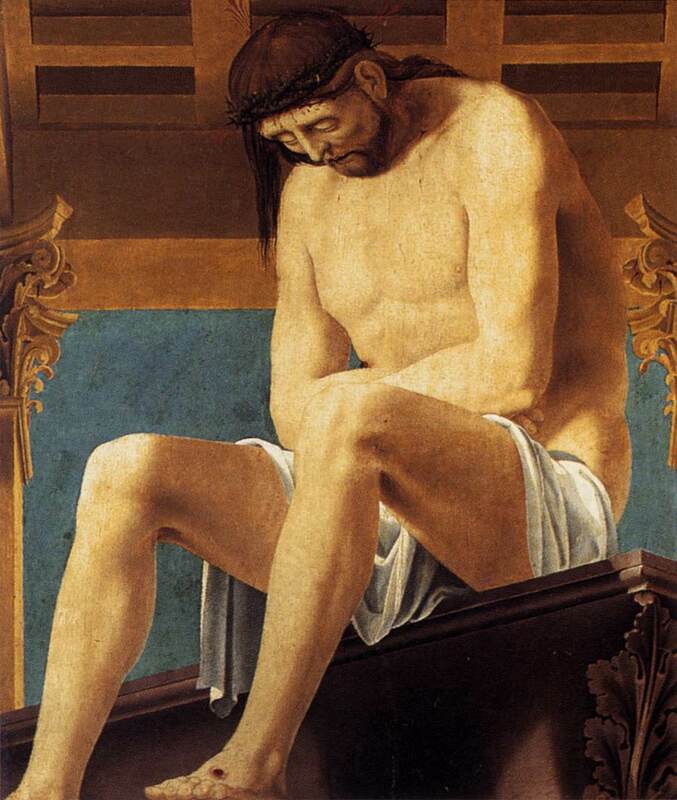 Still, at base, in whatever situation we find ourselves in, looking at Jesus we are given deep consolation in remembering that out of his unfathomable love, God has assumed my nature, experienced what I’ve experienced, suffered all that I have suffered, in order to redeem me, bring into proper relationship, and make me like himself. Cross. Meditating on the Cross yields comforts to carry us through a lifetime. Here are a few: First, God has damned all that opposes him. Evil cannot stand against him. Looking at the Cross reminds me of God’s utter righteous, holiness. Second, that damnation included my sin which has been punished, buried it, sent to hell. Beyond that, Christ has secured the ultimate victory against the Destructor who is ultimately behind all evil. Satan may still prowl about, but he is mortally-wounded and on the run. Because of this, I can look to the Cross and see my Crucified Savior, take up my own cross and follow him in this life. Resurrection. Christ’s resurrection teaches me many things. First, the truth is eventually vindicated. One of the great torments of life in this world is the falsification of reality, the lies we tell about each others, and God’s truth. The Resurrection is the great demonstration and unveiling of the Truth of the Son, teaching me that everything, every injustice will one day come to light. Second, death is not the end of the story because the Creator who declared the world to be very good decided to be its Redeemer who will not leave it to decay forever. Whatever threat comes against me, the worst it can do is kill me, and God can take care of that. Finally, nothing can separate me from the love of Christ. He’s already been killed once. What else could come against him? Ascension. The doctrine of the Ascension means that even now Christ on the throne of heaven, interceding for us. We have the king of the World as our advocate and High Priest. The ruler of the Universe knows what it is like to have walked through the dark vale of the world. He rules with compassion and mediates with sympathy, understanding our weakness. Holy Spirit. In the person of the Holy Spirit, God himself has come to indwell the believer. This is great comfort to us because we can know that wherever we are we are not alone in the world; not in the darkest dungeon of some authoritarian tyrant, nor the darkest recesses of our own despair. God is with us in all that we suffer and will give us whatever strength we need to face the trouble we encounter in the world. Union. By faith him, through the mysterious activity of the Holy Spirit, we are united to Christ. This means all of his benefits, all of his accomplishments are mine and secure. Every heavenly gift, all of his rights and privileges, are mine because I am his. Justification by Faith. Because of this union, I am justified entirely by faith. Christ’s death for sin on the Cross was my death, and his vindication through the resurrection as “righteous” is now mine. Because of that, I can know that none of the pain, or suffering I encounter in this life is God’s judgment or wrath against me, because that has been fully satisfied on the Cross and I’m righteous in Christ. I don’t have to fall into a pit of guilt or self-condemnation when pain or misfortune befalls me. Adoption. Also, we have been adopted in Christ. This means that God is our Father despite our sins, failures, and outward appearances. We have been fully and irrevocably been brought into the kind of relationship with God which allows me the privilege of bursting into the courtroom of the King, calling him “Abba” and making known my deepest needs, hurts, and pains with utter security and freedom. Sanctification. Sanctification is comforting in a number of ways. I was listening to John Piper the other day talking about the joy of heaven and the end of earthly frustrations. He pointed out that the thing he’s most sick of in this life is his own sin. Sanctification is comforting in reminding us that we are not forever trapped in the sin that easily the greatest source of the daily suffering most of us face. Beyond that, the doctrine of sanctification teaches me that I have been set apart in such a way that I know that in all that befalls me, God is at work to make me holy, pure, and more like his Son. Church. The doctrine of the Church is a comfort, in that I don’t have to suffer alone in this life. The reality is that I am now part of a family, a body upon whom I can depend full of brothers and sisters, aunts and uncles, mothers and fathers. Many of these have gone before me down this path and stand ready to counsel, support, uphold, encourage, and rescue in times of need. Last Things. Finally, of course, there is an ultimate day when God will make himself all in all. He will do this through the Return of Christ who comes to judge the quick and the dead, punishing oppression, ending it, redeeming the world, rewarding the righteous, and ushering in a day of everlasting glory. Upon that day, we will behold our God and he will wipe away every tear from our eyes. This is the blessed hope and a vision to sustain us in the darkest of hours. The light shines just over the ridge, promising a weight of glory that overwhelms these light and momentary afflictions. Bavinck On Inequality: Culture or Sovereignty? Rousseau or Calvin? The name “citizen of Geneva,” as Rousseau liked to call himself after his second discourse, makes us think of another man who lived and worked in Geneva two centuries earlier: the powerful Reformed John Calvin. But what a tremendous contrast arises the moment these two names are mentioned together. Calvin, the classically formed humanist, a man distinguished in manners and appearance, with sharp mind and an iron will; over against Rousseau, the restless wanderer, who was often moody, whose thinking lacked logic, whose life was rudderless, who was a dreamer and a fanatic, and the first great romanticist of the eighteenth century! Both experienced a transformation in their lives, but with Calvin it consisted of turning away from the errors of the Roman Catholic Church and an embracing of the truth and the freedom of the gospel, which with Rousseau it was no more than a breaking with all culture and return to the instinctiveness of nature. Calvin had learned to see human nature as culpable and polluted in the light of Scripture, while Rousseau taught that nature, before it was contaminated by culture, was good and beautiful and without any corruption. Calvin sought the cause of all misery in sin, which was a personal act consisting of disobedience of God’s law. 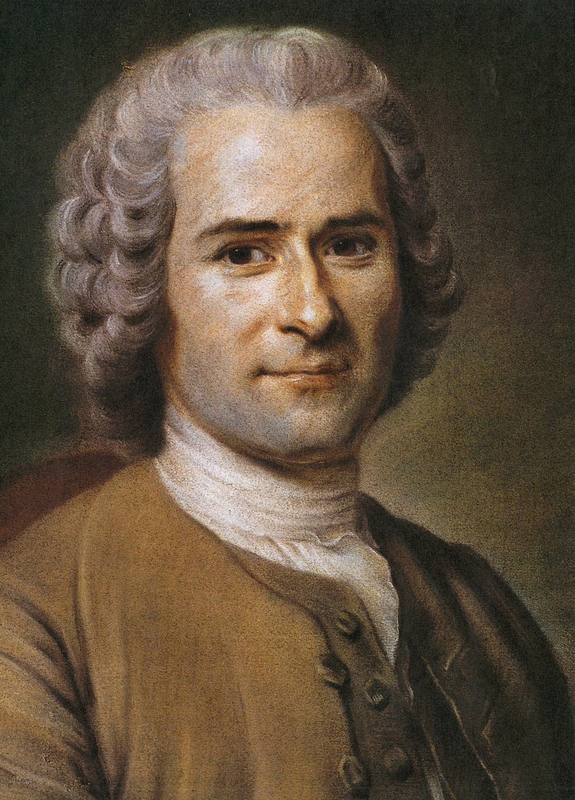 Rousseau blamed society and civilization, and he was moved to tears when he thought of his own goodness; no one had ever existed who was as good and compassionate as he! Calvin did not expect anything from nature but expected everything from God’s grace in Christ. In one word, Calvin cast man and all creatures in the dust before the overwhelming majesty of God. Rousseau, on the other hand, put man on the throne, himself first of all, at the expense of God’s holiness and justice. Clearly Bavinck had his preferences. But aside from the excuse to pen a bit of stunning prose, why bring up Calvin? Well, to set up a bit of a paradoxical contrast in their approaches to the issue of inequality. Calvin, according to Bavinck, was also concerned with inequality, but contrary to the social leveler, Rousseau, it was religious inequality that bothered him most. Why do some respond to the gospel and others turn away in their sin and folly? Calvin, Luther, and others, after examining Scripture and all the other options, could ultimately only acknowledge God’s sovereign good pleasure. Beyond establishing the certainty of faith, Bavinck says that this insight into the sovereignty of God as the deepest cause of all things gave Calvin foundation from which to build a theology of multiplicity, difference, and yes, even inequality. Nature, culture, and human choice do play their roles, but underlying them all is the sovereign good pleasure of God which sustains nature, culture, and even human choice. Of course, Bavinck knows this isn’t an immediately palatable thought; only “a strong generation can accept” it. Still, Bavinck thinks it offers a number of blessings. First, it teaches peaceable acceptance, submission, and contentment in times of struggle and hardship. Rousseau stirred up rebellion and resentment in their hearts by blaming society and culture, which set people up for the disappointment that inequality still exists on the other side of the Revolution. Second, Calvin’s teaching on sovereignty assures believers that no matter how opaque or inscrutable his purposes may be, they are where they are by the will of their loving Father, who cares for them and has provided a gracious salvation in Christ, not blind fate or pitiless nature. These are the comforts of the martyrs, the imprisoned, the simple suffering children of God, which Rousseau’s gospel could never offer. A bit later he goes on to substantiate his point further by pointing out the substantial reforms initiated in Geneva and the admirable commonwealth to be found there. Indeed, in Bavinck’s opinion, Rousseau was proud to be a Genevan largely because of the ripple effect of the Reforms initiated by Calvin’s very different theology of culture, nature, and inequality. Now, at this point, some of us may question Bavinck’s presentation of Rousseau. I suspect some of us–especially us Americans–might not understand his hostility to the Revolution, or understand the horror with which many Europeans regarded it. Still, it’s a remarkable essay and a paradoxical argument worth considering. A strong appreciation for the sovereignty of God can both keep us from the anxiety that causes us to revile the good gifts of God by identifying them with the source of evil (culture), comfort us in the midst of its difficulties, as well as the moral energy to work for its good.